Level I of the CFA exam includes 10 main topic areas. Each topic area represents a different weighting on the exam depending on which level you are taking. Spending your time most efficiently for the exam requires the right strategy based on each test’s topic weighting and your relative comfort level with the material in each topic. We take a look at each topic area for level I and discuss strategies for each section. When studying for the exam, I recommend two things that really helped me. The first one is a large pile of index cards. As you read the material, write down formulas you come across on the index cards. Separate the cards by topic area so you don’t get overwhelmed by the sheer number of formulas you need to memorize. The other suggestion is to pick up a practice question database from one of the major CFA exam prep providers. Make sure to use all the freely available practice questions from the CFA Institute, but I believe the secret to passing really comes down to practicing as many questions as you can as often as possible. Given how much material is tested, unless your exceptionally gifted, I don’t believe anyone can pass this exam if they try cramming for just a month or two. There really isn’t any secret to passing except putting in the hard work. When you work full time with a day job, studying for the test can be a real challenge. I started studying in December for the June exam when I passed. I also took a full two weeks of vacation to study for the test right before the exam in June. 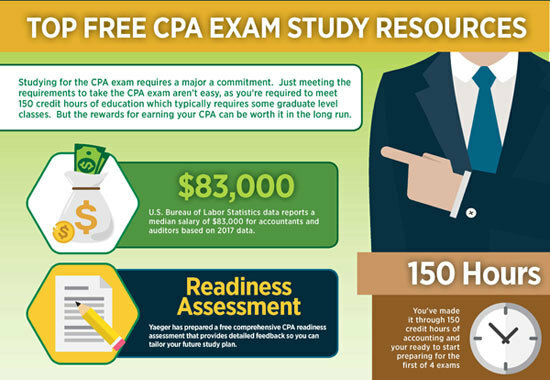 This topic area is really one of the most important and critical sections on the CFA exam. One of the fundamental values of the CFA designation is the ethical principles and standards practiced by members. Trust is such a crucial element of your reputation and if your not careful, it can be destroyed in an instant. When I took level I, I was shocked at how hard the ethics section was on the test. Everyone I spoke with afterwards made very similar comments. I originally went in to the test thinking that ethics would be easy. I regularly practiced ethics questions from the Schweser question bank and even purchased the CFA Institute ethics books (which could be purchased separately when I took the exam). The main mistake I made was underestimating the difficulty of ethics on the exam. Don’t make the same mistake that I did. I think its really helpful to practice the ethics questions from a CFA test prep provider, but you really should have access to the full ethics text book from the CFA Institute. Expect this section to be harder than you think it will be. I would suggest reading the text at the beginning of your studying, practice questions regularly afterwards, and then re-read the ethics text in full during that last month before the exam. This was one of my least favorite sections of the CFA Exam. Quantitative methods focuses mainly on statistical methods of evaluating data. This is something I had very little interest in and had a harder time retaining this material compared with the vast majority of the other financial topics that I found very interesting. Frequently I would study for this section and do okay in the practice questions for it. However, when I returned this section after studying for a different topic, I didn’t do as well on the practice tests. Expect this section to be challenging on the exam. However if this topic doesn’t happen to be your strong suit, don’t overly focus on this section. If you do really well in the other sections which are your strengths, that can offset a weaker performance in this section. My strategy was to focus more heavily on areas that I was interested in and also happened to be subjects that i knew better. I studying for the Quantitative section and regularly practiced the questions, but it was at the bottom of my priority list. I was able to pass level I and I did not do very well in this section. If you find yourself in a similar situation, this could be a viable strategy for you. It clearly has some risks, but with a 12% weighting, it won’t be fatal if you don’t do well in this section. I really enjoyed studying for economics. Economics doesn’t have a very big weighting on the exam, but this can be a section that can offset some of your weaker areas, like Quantitative Methods. Watch out for the section on exchange rates. The problems aren’t that hard, but you have to logically think through which currency you are starting with when you make the conversions. You can expect that the answer choices will have answers that represent all those scenarios. I never really thought much about the importance of accounting until I actually worked as a financial analyst. I majored in Finance and only took the basic accounting classes in college. What I learned studying for the accounting section of the CFA exam, I used most frequently in the real world. So it really shouldn’t be much of a surprise that accounting represents the highest weighting for level I. This can be a fairly hard section of the exam if you don’t have a good accounting background from college. However, for many people, your time investment of studying for this section, will benefit you in the future. I remember pensions and taxes being the questions I had the most difficulty when taking the practice questions. I found the section on financial reporting quality being the most interesting. Accounting gives companies multiple options when reporting results for businesses. 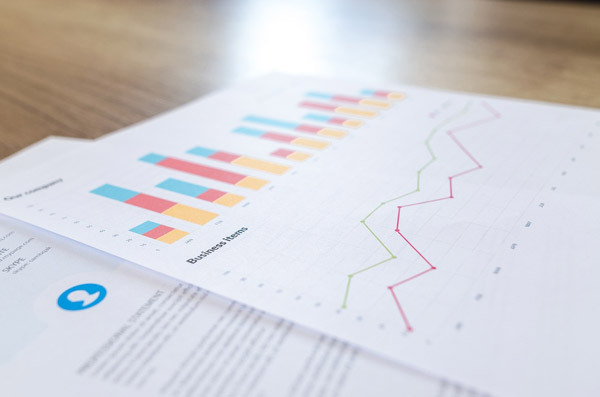 By recognizing a pattern of utilizing the most aggressive reporting choices, you can recognize companies that are very willing to push the envelope with their numbers. This section is not a major part of level I. Don’t overlook this section, but this can be a good section for you to do well and help offset one of your weaker sections. I did well on this part of the exam and I don’t recall it being very difficult. Most of the major study providers will offer a practice test bank of practice questions that will cover this section very well. This was another section that I enjoyed on the exam. Most people studying for the CFA exam will already naturally be interested in the equity markets and very likely already have a good fundamental handle of the concepts. There are a lot of formulas to remember and this is the section where you apply different equity models to arrive at a so called intrinsic value for a stock. As you probably already know, when you change small inputs in your models, you can arrive at a wide range of intrinsic price values. Make sure you spend time in this section, but most people will likely enjoy this part of their studying. If you don’t enjoy this section, you probably should take a step back and think about whether a career in financial services is right for you. Don’t overestimate your ability to do well here, but if you memorize the formulas and regularly practice questions, you should be able to do very well on the exam. Fixed income was another section I really enjoyed on the exam, but this one is not quite like the equity investments section. About the first half represented topics that I already had a good understanding. The second half represented more challenging topics including bootstrapping yields and embedded fixed income derivatives. If you find these topics interesting, you should be able to easily learn the harder sections after spending enough time reading and practicing questions. Don’t expect this section to be easy on test day, but this is a section that you can do well at if you put in the time. Many people cringe when they hear derivatives. Their eyes glaze over and they think of boring and esoteric topics they won’t ever see in the real world. In some ways that is true. Level I covers derivative concepts related to many of the standard exchange traded products. However, the real volume of derivatives represents the over the counter traded products which are customized to meet the client’s objectives. Because these products can be fairly customized there isn’t as much written about them in the papers (other than in broad terms) because they don’t have access to the specific contracts. This section does begin to cover some of the more interest over the counter derivatives like swaps and credit derivatives. Its worth your while to pay attention to these topics as people who work in derivatives tend to be some of the most highly compensated in the financial industry. Level I only covers the basics of some of these concepts, and while they may seem hard at first if your not familiar with them, you can do well on this section if you regularly practice the questions. This section is the smallest section on the exam. The topics are mostly focused on the high level concepts of some non-standard investment options like commodities, hedge funds, real estate, private equity, and venture capital and appropriate allocations to these investment classes in a diversified portfolio. This is not a hard section if you find these topics interesting. You need to remember a small handful of formulas around things like calculating cash flow from real estate investments, but mostly this is an informational and topical section of the test. This should be a fairly enjoyable section of the exam to study. This really represents some of the lighter and more interesting topics to consider if you are planning to manage a portfolio for an investor during their investing life cycle. Things like asset allocation, tax efficiency, and behavior finance are all covered in this section. Many people will likely have a decent handle on these topics before even picking up a book to study for this section. The material that will be new, will most likely be interesting to read about and you should have an easy time retaining these concepts. Make sure to put in your time studying for this section, because it does cover a fairly wide amount of material, but this should be a section that you can do very well when you face it on exam day. Level I of the exam is a mile wide, but only an inch deep. The key to doing well on such an exam is to regularly practice questions in each of the main topic areas. The easiest way to do that is to pickup a database of questions from one of the main CFA prep courses. The other really important thing to do is write down all the important formulas on index cards and regularly practice until you’ve memorized the formulas.